Kasper Mini Bus offers both scheduled and Charter travel. 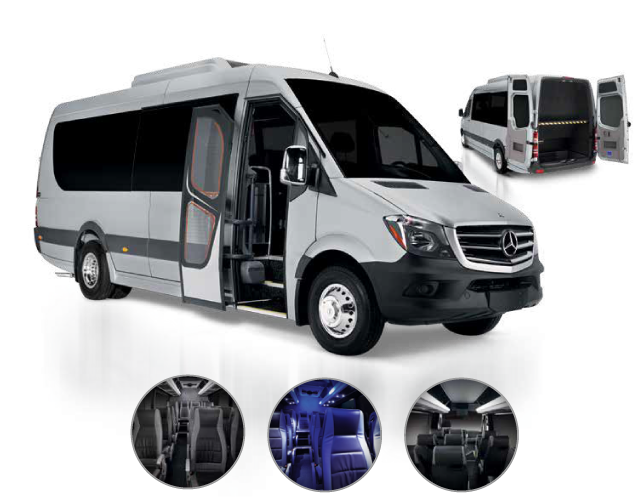 Kasper Minibus is a northern-focused carrier offering multiple scheduled trips per day on our Mercedes Benz Sprinter buses with room for up to 16 passengers. Kasper offers an incredible experience with full amenities backed by the incredible safety record of Mercedes Benz. We offer a full service experience at Kasper Mini Bus so rest assured, you’re travelling with the best! SOS Last Minute Charter? We are ready to save your day on short notice with our on demand charter service! Kasper uses a fleet of Mercedes Benz Sprinter luxury buses to make sure you arrive at your destination in comfort and style.